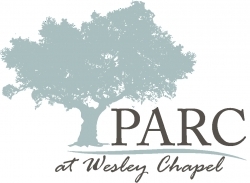 Birmingham, AL, March 19, 2019 --(PR.com)-- Equity Resources, LLC will open Parc at Wesley Chapel in Tampa, FL, a 248-unit Class-A Apartment Community this fall. Equity Resources selected Pegasus Residential as the management company for the property. Pegasus will manage day to day activities at the property including leasing, management and resident relationships. Parc at Wesley Chapel will offer one-, two- and three bedroom apartment homes all with elevator access. The homes will feature Smart Home technology, granite countertops, stainless appliances and woodgrain flooring. The community will feature many shared amenities for its residents such as a resort-style pool, a fitness center that will include Wellbeats Virtual Fitness Training, a well-appointed Pet Park, a Luxer package delivery system, Electric Vehicle charging stations. Equity Resources, LLC was founded in 1976 in Birmingham, Alabama, by Jack Fiorella, CCIM, a Birmingham native and graduate of Auburn University. The company is a highly successful private real estate investment company specializing in the multifamily industry. The company’s success can be attributed to its team of real estate professionals, the careful selection of the right assets and deal structures, astute negotiations and an effective network of expert partners. Equity Resources currently owns or has previously owned multifamily assets throughout the Central and Southern United States. For more information, visit www.equityresources.net. Pegasus Residential is a boutique, third-party Management Company that is headquartered in Atlanta, Georgia, and they manage 30,000 units in more than 40 metro markets. Pegasus Residential provides expertise in acquisitions, new development, and re-development; and, also serves as consultants in building and construction services for their clients. For more information, visit www.pegasusresidential.com.